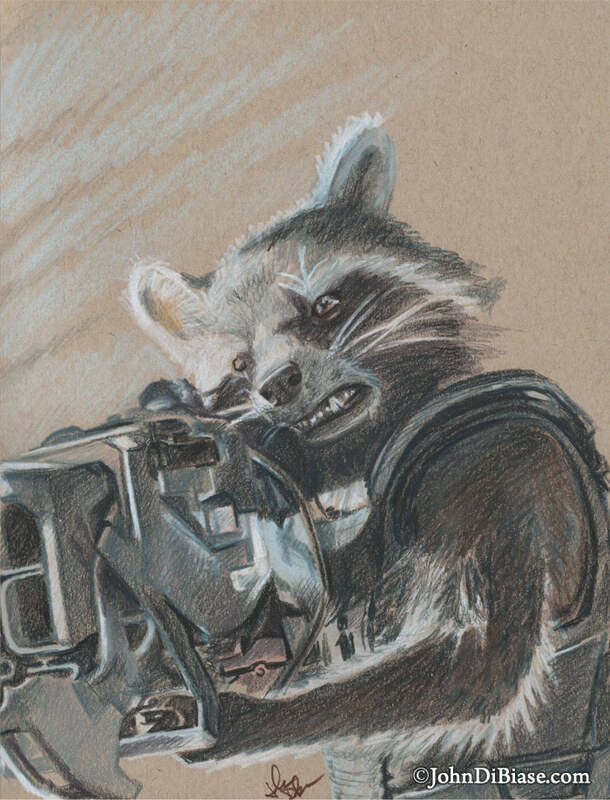 Continuing a run of sketches on toned paper in quicker bursts of time, I opted for this Colored Pencil Sketch of Rocket from Guardians of the Galaxy. Love the film. Love the character, and I thought I’d give this one a shot. It was a lot of fun. The original is up for grabs in my Etsy shop too (prints separately as well).